Swedish metal band Avatar, have become renowned for their theatrical performances and extravagant costumes and as they wind up the album cycle for Avatar Country with a headline tour, we talk to vocalist Johannes Michael Gustaf Eckerström about life with the King. How is life in Avatar Country at the moment? Life at the Royal Court is glorious and His Majesty the King’s subjects are in a constant state of bliss. As we have entered yet another new year of the King, winter is upon us and is raging with ancient power and rage… unless you don’t want it to, then it’s summer and hot and awesome. Such is life in Avatar Country. How important is music to the land? Is it essential to keep the country at peace? It’s essential as it’s the core element and essence of everything in existence within the borders of our great nation. Heavy metal keeps our souls at war with the titans of our limited minds, expands our beings to the most faraway corners of the galaxy and keep us joyous, prosperous and peaceful. It’s not long until you reach the United Kingdom and take on its stages, how have you prepared for such an occasion? I had a very light Christmas meal and stretch a lot. I think the time off did us some good as last year was spent a lot on the road and when not on the road it was spent filming and other things that kept us very busy. How will these shows be different to those previous? Are you planning anything spectacular? The King on his throne is always a spectacular sight. Over this spring we intend to summarise the Avatar Country saga and give people one more chance to partake in the madness before it’s time to move on. It’s been a year since the release of Avatar Country the album and the arrival of the King, how have your lives changed since he took the throne? That question is for you to answer, not me. For I have always known that the King in fact is the King. One year ago was only when we saw it fit to unveil the true face of our Lord and Master to the world. How did his arrival change the way you make an album? This is your seventh offering now, did you do much differently this time? It was a great opportunity to pay musical tribute to metal in a way that we didn’t feel right about doing prior to this one. It went very fast as the vision was clearer of what this album was meant to be and what it would take to get there. I don’t think we ever will experience such a straight road towards our goal ever again. Creating such a complex and conceptual record must have taken a lot of careful planning, did you have a clear idea of the stories you wanted to tell and how you were going to tell them? Like I said, it all came very naturally once we knew where we were heading. Is it he who directly influences and inspires your music or do you look draw inspiration from other beings and surroundings? We are inspired by a lot of things, artists and ideas. The King wants his people to go out in the world and explore, to search within themselves for their true selves. He wants us to create and be creative. Will the King always be a part of the Avatar journey? Or will he move on to new beginnings? The King is eternal and the songs in his glorious name shall always remain as a part of his elite orchestra’s set. Future albums and stories will travel to new shores though. Once you have conquered the European countries, what will be next for Avatar? Are there plans for 2019? Many. All to be announced when the time is right. Avatar bring their metal and mayhem to stages this week, see dates below and grab your tickets now! 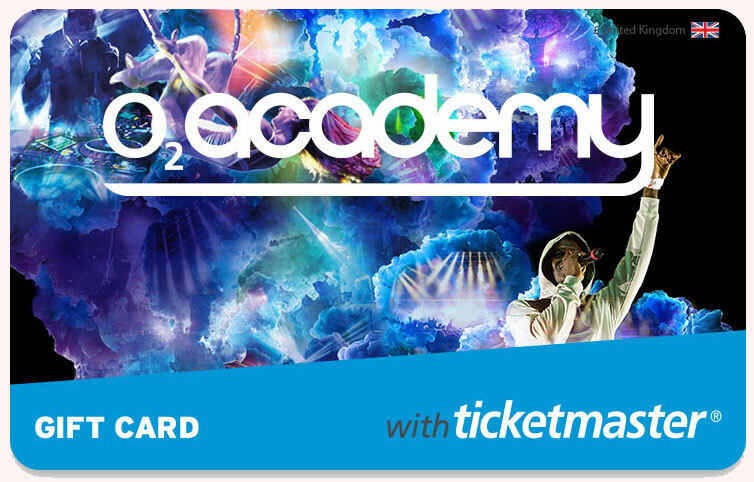 You can now purchase Academy Music Group gift cards, which can be used on thousands of shows across the UK in our venues. For more information, click here.